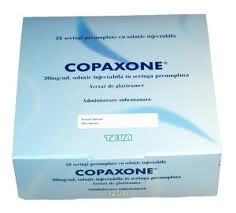 Copaxone is a blockbuster drug based on the glatiramer acetate copolymer which was patented by Yeda (the Tech Transfer Company of the Weizman Institute) and licensed exclusively to Teva to manufacture. On Tuesday 20 January 2014 the U.S. Supreme Court reversed an appeals court ruling that invalidated Teva Pharmaceutical Industries patent on the blockbuster multiple-sclerosis drug Copaxone, giving the drug maker a new opportunity to forestall generic competition. The claims specify a particular molecular weight range but do not specify what method was used to measure the molecular weight. Sandoz argued that this is a fatal flaw and the claims are indefinite under §112. The District Court found for Teva, and was convinced by Teva’s argument that the claim clearly meant the “peak average molecular weight”, and not either of the two alternatives of “number average molecular weight” or “weight average molecular weight”. On appeal, the Federal Circuit held to the contrary and found the patent invalid for indefiniteness. In reaching this conclusion, the Federal Circuit reviewed de novo all aspects of the District Court’s claim construction, including the District Court’s determination of subsidiary facts. The issue before the Supreme Court was whether that was permissible, or whether the Federal Circuit had impermissibly set aside the District Court’s findings of fact without the requisite finding of clear error on the part of the District Court (in violation of Federal Rule of Civil Procedure 52(a)(6), for what it is worth). The Supreme Court of the USA accepted TEVA’s appeal that found that the Federal Circuit had indeed impermissibly conducted a de novo factual review. So the Federal Circuit’s decision was vacated and the case remanded. The Supreme Court Decision ruling was made by seven judges with two dissenting. Justice Breyer gave the Opinion with Justices Roberts, Scalia, Kennedy, Ginsburg, Sotomayor and Kagan affirming. Justice Thomas filed a dissenting opinion which Justice Alito concurred with. According the majority opinion the Federal Circuit had indeed impermissibly conducted a de novo factual review. So the Federal Circuit’s decision was vacated and the case remanded. In the dissenting view, the opinion was that the Federal Circuit had not overturned findings of fact, but had instead formed a different conclusion of law as to the claim construction. Therefore, there had been no breach of the Federal Rules of Civil Procedure. The case has been referred back to the Federal Circuit Court of Appeals. The ruling will help TEVA prevent generic competitors from entering the Copaxone market until the patent expires in September. There seems to be a power struggle going on in the US court system with the Supreme Court reprimanding the Federal Circuit for assuming powers that are not rightfully theirs. ‹ PCZL (Pearl Cohen Zedek Latzer LLP) Appeals Source Vagabond Decision Sanctioning the Law firm for bringing Frivolous Law Suit.